Rio Ferdinand has opened up about his assessment of Dejan Lovren’s feud with Sergio Ramos. Both Lovren and Ramos have been involved in a heated rivalry as well as exchange of words ever since last season’s Champions League final between Liverpool and Real Madrid. After the final, which the Galacticos won 3-1, the Reds’ centre-back had accused the Spaniard of having played dirty by purposely injuring Mohamed Salah, so as to aid his side’s chances of winning the continental title on the night. Having thrown words at each other off the pitch since, the two defenders finally clashed on it once again on Thursday night, as Croatia bagged a crucial 3-2 win over Spain in the UEFA Nations League, thanks to an injury-time goal from Tin Jedvaj. 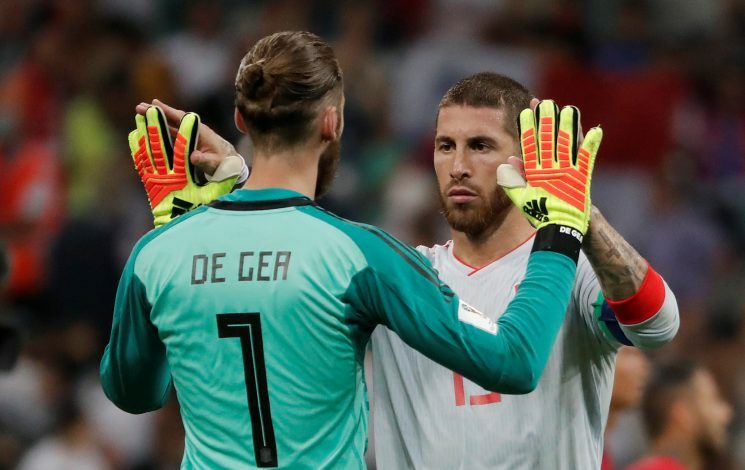 Whilst Ramos has remained mum on the issue so far, he has been backed by an unlikely ally, in the form of Manchester United legend Rio Ferdinand.